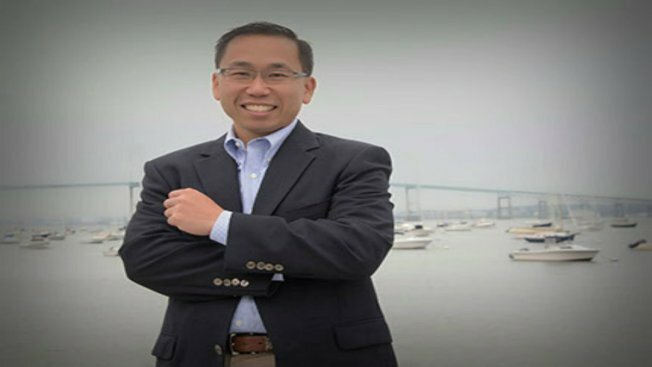 Cranston Mayor Allan Fung has won the Republican nomination for governor after a sometimes-bitter campaign in which he touted his municipal experience and a tax cut plan. Fung won Tuesday's primary over businessman Ken Block. He called himself the only real Republican in the race. Fung criticized Block's past support for Barack Obama and his 2010 run for governor as the candidate of the Moderate Party, which Block founded. One of Fung's TV ads labeled his opponent's supporters "Blockheads." Fung highlighted his time running the state's third-largest city. As governor he said he would reduce taxes and create 20,000 jobs. Fung was endorsed by the state Republican Party and 2012 GOP presidential candidate Mitt Romney. He'll face Democrat Gina Raimondo on Nov. 4.